We have all your hardscaping and ground cover materials on hand at both locations! Hardscapes add appeal and value to your property. 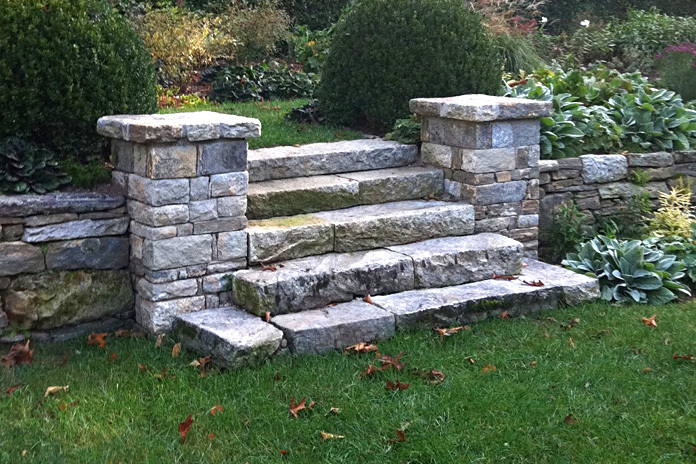 Landscapers use hard materials such as pavers and stone to add structure and dimension to outdoor spaces. There’s no limit to hardscape ideas, from patio to paths to driveways and stone benches. We have all your hardscaping and ground cover materials on hand at both locations! From boulders to pavers, dimensional stone to flagstone, we have you covered! Rocks and pebbles make great ground cover where you don’t want grass or mud. French Broad carries many sizes of gravel, river slicks and wash stone for all projects. Also, both the Asheville and Brevard yards have sand in bags and loose for masonry and home improvement needs alike. Define sections of your landscape with mulch, it’s good for holding in moisture at the base of trees. You can stop by our two stores and pick up either hardwood or pine mulch today!